Today I’m bringing back a series I started earlier on some general financial knowledge geared towards the Modern community. As the title implies, I’m going to discuss the best and most cost-effective methods I’ve found for shipping cards. Modern cards by and large change hands quickly, are in high demand, and have pretty good profit margins. Whether you’re trying to switch decks, capitalize on staples that went up in price, or simply turn some of your Modern cards back into cash, knowing the ins and outs of shipping is important. Good shipping practices will save you money and prevent cards from getting lost or damaged in the mail. Let’s take a look and see what we can do to get the most for our cards. In earlier installments of Finance 101, I discussed some basics principles of selling and the phenomenon of spread. For the purposes of this article, I’ll assume that you’ve decided what cards to sell and to whom. The question now becomes the physical act of shipping them out. Before we get started, a few notes on the information I’ll be providing. First, geography. I live in the United States, but I recognize many of our readers don’t. That said, some of the nuances of the United States Postal Service are important to remark on—the information may not be as applicable to your local postal service. I will also be using Amazon links to supplies that I recommend. I am not an Amazon affiliate and will not receive any money from the links. In my experience, Amazon has simply been far cheaper and offered more reasonable quantities. If you do use Amazon I encourage you to use Amazon Smile, which will send a portion of proceeds to a charity of your choice. If you don’t have a particular charity in mind, I would suggest Gamers Helping Gamers, an organization run by multiple Magic Hall-of-Famers that funds college scholarships for Magic players. Your first task is to get the materials you’ll need for shipping. Buying these things ahead of time will cost way less than buying individual envelopes and such for each sale. Before deciding how many materials you’ll need, I would try to figure out how many cards you’ll be realistically selling. If you’re looking to sell a collection or a ton of cards you don’t play anymore, it would make more sense to over-buy on supplies, because it’s a lot cheaper to buy in bulk. Also take note of the approximate value of the most expensive cards you’re selling. I recommend spending a little more and buying a bubble mailer for anything you think will end up needing tracking. The final thing I’ll say is that unless you’re sending all the cards to one buylist or one seller, it’s unlikely that you’ll sell as many at once as you might think. While it feels great to sell playsets at a time, if you’re using TCGPlayer you will end up selling a lot of 1- to 2-ofs. Plan ahead and buy extra envelopes. I’ve done a bit of selling on TCGPlayer and have (what I believe to be) a pretty good system, both for maximizing savings and for limiting my exposure to missing or lost packages. To start out, I recommend if you have a printer to make sure it can print directly onto an envelope. If it can, make sure you buy envelopes that fit into the tray that supports them. Most printers (like mine) have a separate manual feed tray. I would recommend using this one to limit the waste of envelopes getting stuck or ripped inside of it. White envelopes are my go-to for orders under $30. I recommend using the #6 3/4 size envelope, as they’re big enough for the cards and a packing slip without too much room for it to wiggle around and rip the envelope. I also recommend getting self-sealing envelopes even though they cost more. If you get a lot of orders in a short period of time (like when TCGPlayer has a sale, for example) you’re going to regret having to moisten your envelopes. On average, I probably send about two thirds of my orders with 1-2 cards and one third with 4 or more. I’d probably starting out by buying enough envelopes for two cards per envelope. For orders over $30 I use tracking and a bubble mailer. Orders of this size tend to be rare unless you’re selling the major Modern staples like Tarmogoyf or Liliana of the Veil. My preference is to use #000 4×8 bubble mailers. They are relatively inexpensive in smaller quantities (as of this writing, the listing is about $0.24 each) and don’t waste a ton of space. Packages that are sent with tracking have postage costs based on weight. Additional envelope weight that isn’t useful is an obvious disadvantage here. The size of the envelope is also just large enough to comfortably fit a tracking label. The most I’ve put into this size of bubble mailer is about 20 cards, and that was the only time I ever shipped that many. I’m sure if you’ve done any kind of trading on Pucatrade during its peak, you’ve received a card sandwiched between two pieces of a cereal box with tape dangerously close to touching your beloved new card. That kind of shipping is unacceptable for multiple reasons. My shipping method is relatively inexpensive and makes sure your card arrives to your buyer safe and sound. It really starts with the stuff you put inside of the envelope. The only piece of shipping materials I will say is non-negotiable are Ultra Pro 3×4 Top-Loaders. They’re the perfect size to fit a pair of Magic cards and give you the durability (and flexibility) needed to endure a trip through the USPS. 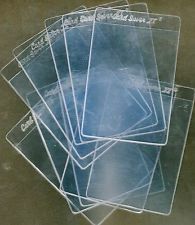 What is most important here is that these top-loaders are rigid enough to protect the card from creasing but won’t crack or shatter if they are put through most of the sorting machines. Putting your Magic cards between two pieces of cardboard surely keeps it straight until it needs to bend slightly to fit between some rollers. If the cardboard gets creased, so will your card. A creased card means you’ll have an unhappy customer and some bad feedback or lost business. So please, if there is anything you take away from this article it’s that top-loaders are non-negotiable. And don’t buy any semi-rigid sleeves to ship your cards. I know there are sellers that use them (usually called “card savers”) but the poor protection they offer isn’t worth the savings an average person may get. I don’t advise you to put a card “naked” into a top-loader and into the mail. It might make it there in one piece, but chances are pretty high that it slips out without any additional steps. At the very least, I would suggest putting it into a sleeve before putting it into the top-loader. If the card is foil I would recommend double-sleeving it (with a perfect fit) to avoid it getting dinged up by moving around. The type of sleeve you end up using doesn’t matter much but I’m going to suggest you buy some new ones. I’d much rather receive a card in a clean penny sleeve than a sleeve cached with dirt that has presumably been shuffled for a few weeks or months between hands that I can’t track. The deal on top-loaders I linked to above comes with enough sleeves to put one in each; this has been my go-to for shipping cards. Finally, another option that can provide some big benefits is a product made by Ultra Pro called Team Bags. Team bags are named as such because they’re typically used by sports card stores to put an entire sports team into a single sleeve and sell multiple cards at the same time. What I use them for it to save tape and top-loaders. A lot of people put a piece of tape over the opening of a top-loader to keep the card sleeve from falling out during transit. I don’t like doing this because it makes the top-loader sticky and annoying after a while. Top-loaders are theoretically recyclable and putting tape on them shortens their life span. Also, sometimes people go overboard on tape and it’s actually very difficult to remove it without damaging the card inside of the top-loader. Another issue with top-loaders is that putting too many cards into one makes it very difficult to get them out without bending them. That’s just a hassle that you really don’t want to put your customer through. A team bag solves both of these problems. A top-loader can easily fit inside of a team bag and then you can put the sleeved cards next to the top loader inside of the team bag and seal it on the top. The seal is strong enough that it won’t open during transit, but also very easy to remove once the cards arrive. This method allows you to put 6-10 cards into a single team bag very easily. With more expensive cards you can also sandwich them between two top-loaders to maximize the rigidness of a package you’re likely to send with tracking anyway. As is true for all of the supplies, buying in quantity affects the price. But even at their most expensive (about $0.05 each) they are still significantly cheaper than a top-loader and let you fit more cards into an envelope safely. Now that you have all the specialty supplies, let’s talk about how to put it all together. First of all, when you get an order the first thing is to make sure you have the actual cards. I keep a fat pack box of the cards, sorted alphabetically, that I have listed online at any given time. If you have multiple cards in different conditions, I would put them into a penny sleeve and mark the condition for easy access later. Lastly, make sure you confirm that the set and condition are correct before you get ready to send the cards. Issues like same art but wrong set can cause issues and cost you money. Make sure you check the set symbol even if you only have one set of the card. I have made a mistake where I listed a card incorrectly despite never owning the copies that I needed to send. A quick message to the buyer was able to remedy the mistake and save a lot of time. Next is time to prepare the envelope. If you don’t have a printer that can print directly onto envelopes, I’d use this time to get some address labels you can print onto. Handwriting envelopes is time-consuming, tiring, and can lead to mailing errors if your handwriting isn’t great. I personally have the best success using the mailing template option in Microsoft Word to print my envelopes. A quick copy-and-paste from TCGPlayer or eBay and you’re off to the races. If your order is over your “getting lost” threshold, then I would add tracking and a bubble mailer. Personally, I set my cutoff at $30. Under $30 I send in a plain white envelope and over $30 I add tracking. The idea is that if you’re paying more than 10% of the cost of the item in shipping, then you’re likely better off just having sent the card to a buylist. With the price for shipping a bubble mailer and a few cards with tracking at about $3, I recommend sticking to this threshold or increasing it. The biggest mistake I see people make is not realizing how much money they are potentially losing in shipping costs in order to be safe. The PayPal shipping label creator. There are options to add additional insurance for especially large orders (I’d recommend it on packages over $100) and signature confirmation. Please don’t pay for signature confirmation. It’s a waste of money for you and it’s very annoying for the person receiving the card. It requires an adult to physically sign for the package, which often means they need to make a trip to their local post office to pick up the package. Next is to actually package the cards. Like I recommended above, I would put 1-2 cards into a sleeve and then into a top-loader or a team bag. With larger orders, I just put them into a few penny sleeves next to a top-loader inside of a team bag. That is the easy part. If you don’t use a team bag, put the cards into the sleeve upside down (so that the bottom of the sleeve is coming out of the top of the top-loader) and then put a piece of tape over the opening of the top-loader to keep the card inside. The last step before putting the cards into the envelope of your choice is to include a piece of paper identifying the contents. If you’re selling on TCGPlayer you can use their client to print a packing slip that includes the address and order number. If you’re not using a reseller website, make sure to include a kind message and a description of the order so that the customer knows what they received. If you’re using this guide to package a buylist order, make sure to include the buylist number. The last thing I will mention is something that depends on where you live. Technically you are not supposed to put anything rigid into a regular envelope and into the mail in the US. There is an additional fee you’re supposed to pay for non-machinable mail. To avoid this additional fee—don’t write “non-machinable” on the envelope! Also make sure that the width of the envelope is as uniform as possible. As such, I try to make sure I wrap the order with the packing slip to keep it uniform. Unfortunately, if your local postal office has machines that don’t like top-loaders there isn’t really anything you can do except pay for non-machinable postage. Your local post office should have special stamps that cover the difference between a Forever Stamp and nonmachinable postage. To close things out I want to talk about some emerging decks. Chalice of the Void has seen a huge spike in the last week due to an Eldrazi Tron deck performing exceptionally well on Magic Online. Walking Ballista seems to have breathed some new life into the colorless archetype as its mana-hungry ability allows it to leverage the excess of mana provided by Urza lands to control the board and give the deck reach. It’s especially effective at threatening small-toughness creatures out of Affinity and Infect, which are typically very hard to deal with in a mono-colorless deck. I would pay attention to the other non-Oath of the Gatewatch cards as they could be increasingly targeted by Modern players. The other deck to rise from the ashes of Aether Revolt and the banlist update is a Gifts Ungiven-based Storm deck. Baral, Chief of Compliance is really the difference-maker, helping the deck to win out of nowhere. I have played against it a number of times now—it feels pretty unfair, and definitely a lot more consistent than the Pyromancer Ascension-based Storm decks. Nothing from this deck has jumped yet, but Gifts Ungiven is a card I would probably pick up sooner rather than later since the deck by and large is pretty inexpensive. I’m interested in your feedback on this article. Do you want to see more topics on basic finance principles, even if they don’t have a specifically Modern slant? 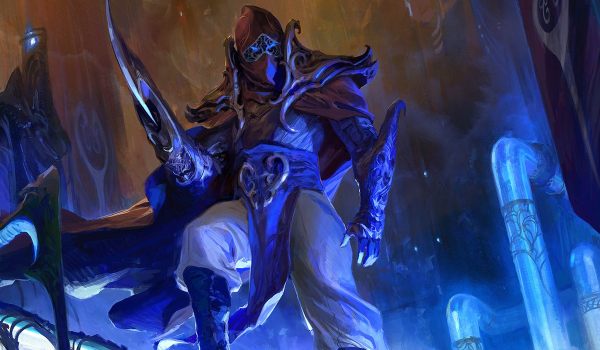 Interested in a financial deck tech on one of those rising archetypes? Let me know and I’ll see you next week. A good read, and appreciate the advice to us in the community!